The J. J. Keller® Forklift Training program uses hands-on learning activities to teach employees how to choose, inspect, and safely operate a forklift. Training documentation is essential – and sometimes required. Our FREE recordkeeping tool enables you to keep track of any training session on any topic, regardless of the training format you purchase. You'll know which employees trained on which topics and when. Thank you for your interest in previewing the Forklift Training online course. Please register or log in to watch free previews, browse the course library, purchase training points, and more. 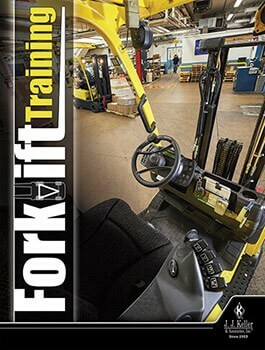 Thank you for your interest in previewing the Forklift Training video program. Please register or log in to watch free previews, browse the course library, purchase training points, and more. This course is enhanced with the EyeCue® Visual Learning System. 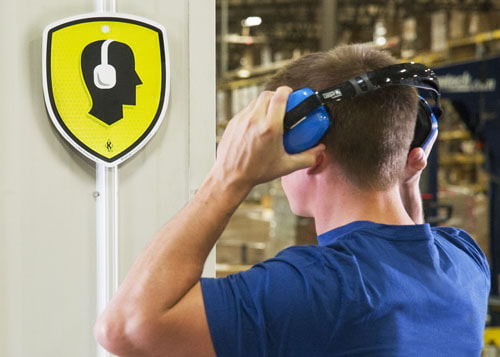 Using unique visual prompts that have been designed to stand out from standard workplace signage, EyeCue enhances employee recall of key concepts and makes J. J. Keller’s high-impact training even more memorable. Supplement classroom or field training with self-paced online courses backed by a trusted team of compliance experts. You can pay as you go using our convenient points system, or you can purchase a subscription and gain unlimited access to our library of over 350 online training courses. With Video On Demand, you have access to hundreds of up‑to‑date safety and compliance videos with pay as you go or subscription options. Plus, enjoy remote viewing capabilities that enable you to send streaming video and training access to learners who are off-site or absent from classroom sessions. Since 1953, J. J. Keller & Associates, Inc. has helped organizations create safe and compliant workplaces. J. J. Keller subject-matter experts specialize in content development, regulatory compliance and business best practices across a variety of industries. Whether you choose online training courses or pay per view (streaming) videos, you’ll enjoy twenty-four hours a day, seven days a week access to a library of hundreds of safety and compliance titles for maximum flexibility in and out of the classroom. Keep track of which employees trained on which topics and when and have easy access to all of your training records with our online recordkeeping tool. Quickly and easily create reports of your online and classroom training by students or courses.